logo stones – Stones, and Tokens, and Hearts, Oh My! A camp where I used to work observes the end of each experience by inviting that week’s campers to place a rock on a cairn pile while sharing a memory or lesson they will carry with them. This tradition pulls from many ancient ones across the world. It is one that has always spoken to me, a tactile sentimentalist who appreciates symbolism. I now help to lead an organization for adoptees and their families. While year-round in service, we gather once a year for a weekend that is intense, transformative, challenging, uplifting. It is through this organization that I learned of Brenda and her business, CourageInStone.com. They worked with us to create a custom logo rock as well as others with words of direction and inspiration. We gave these rocks as thanks to some of our leaders and speakers as well as sold them at our store. Friends purchased these rocks for each other as acknowledgement of their connection. Others took home rocks to place on their desks or by their beds as daily reminders. Some even playfully take pictures of their rocks in different settings and use as Facebook profile or cover photos. To me, all these actions represent a modern cairn … a way to physically mark the time spent and community felt together at our conferences. Thank you, Brenda and CourageInStone.com for providing these beautiful stones. Stacy Schroeder is the executive director of KAAN (the Korean American Adoptee Adoptive Family Network). 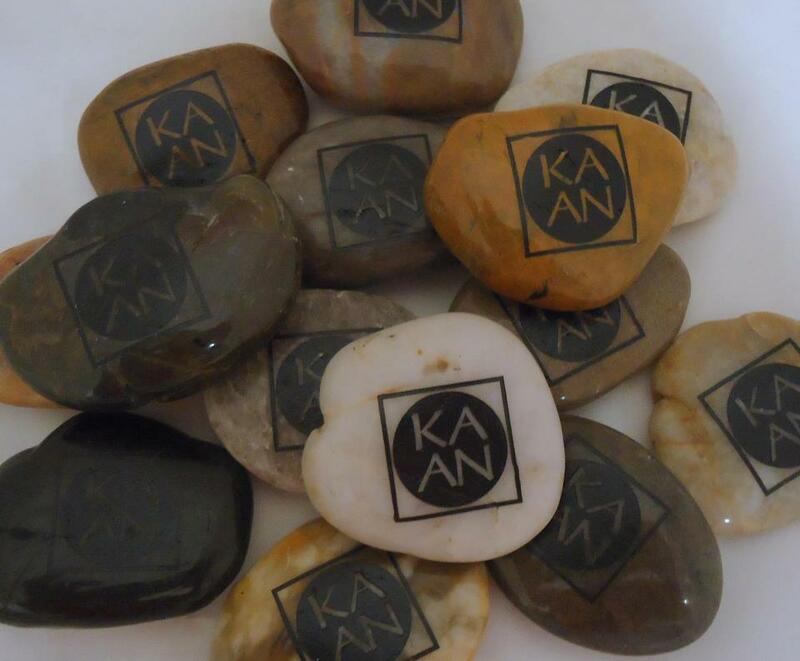 You can learn more about this organization by visiting www.KAANet.org.